There are lots of benefits to shopping online rather than hitting the high street. Online shopping allows you to shop around quickly and easily, and saves you trying to carry heavy items. Most importantly, if you are savvy, you can save money easily. Here we collect more than 12 methods or tips for you to save money shopping online. Cashbackbase is a fantastic discount site which helps you to find Amazon products at the best price. Working with Amazon, you can be sure that all of the products are legitimate and high quality, and you’ll be able to check out reviews to make sure that you’re getting what you are paying for. Not only does Cashbackbase scour Amazon to help you to find the cheapest deals on any product, you are also able to get cash back on your purchase – up to 100%! On items marked with ‘100% cashback’ all you need to do is head to Amazon and make your purchase, then provide Cashbackbase with details of that purchase through the My Deal Request area of the site. You’ll need to use points that you earn on the site to gain access to these deals, but these don’t cost you anything so you really do get something for nothing! 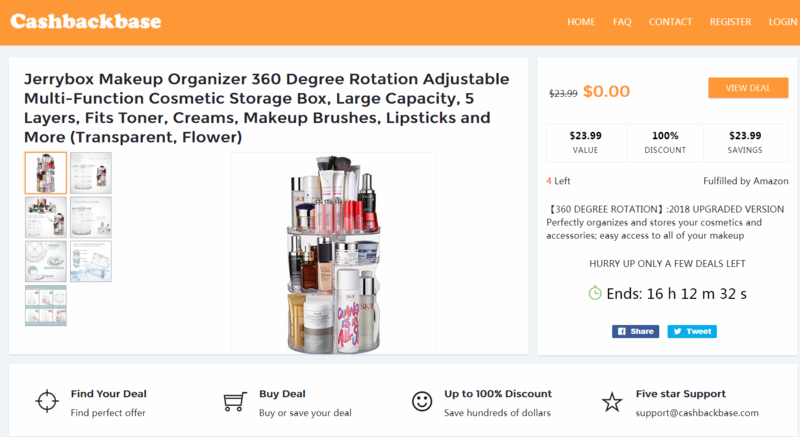 To make it easier to find the best deals, Cashbackbase arranges items on the home page according to the highest discount, so that you can quickly and easily find the offers that are going to save you the most money. If you are smart and pay attention, it is fairly simple to work out when is the best time to buy various products. The January sales is a great time for most items, including clothing, furniture and homeware, as it is when most retailers clear old stock to bring in new ranges for the new year. Black Friday at the end of November is a phenomenon that has moved onto online stores over the past few years, allowing you to purchase cut-price products in the run-up to Christmas. Cashback sites may seem too good to be true, but the model is tried and true, with a number of sites gaining in popularity in recent years. Once you have signed up to a cashback site (Topcashback and Quidco are two of the more favored examples) you need to head there every time you shop, and put the retailer you want to shop from into the search bar to see if there is cashback available. If there is, click through and make your purchase as normal, and your account will be credited with a percentage of the total for you to move back to your bank. Whilst Google Shopping is a simple and easy way to see what prices are available at various retailers across the web, apps like ShopSavvy and BuyVia make this even simpler. All you need to do is type into the app what you want to buy, and the search will give you the offered price at a range of different retailers. Some of the better apps even have barcode readers so that you can do this in-store as well as online. You can look for codes online which will give you a percentage off of the price of the product, or offer you deals such as 2 for the price of 1. Whenever you purchase something, it is worthwhile looking online to see if there are coupons available. If you sign up for a membership card or give your email address when asked (see point 9), you may also be emailed deals and discounts ahead of other customers. 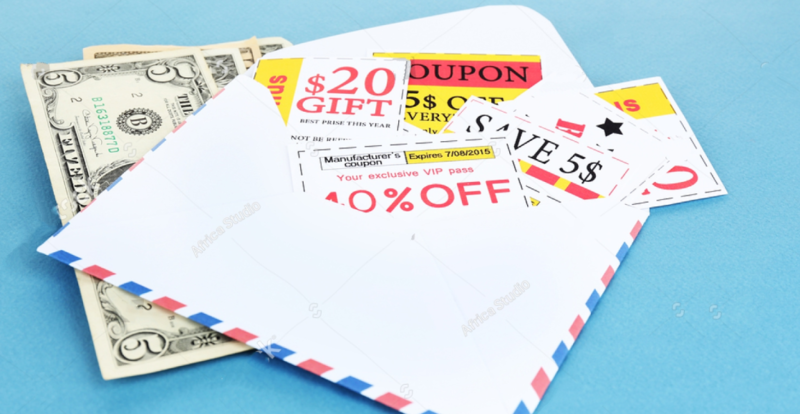 Hold onto coupon codes and discounts for the future if you don’t need them right away, as often they don’t expire for a while. In a highly competitive shopping market, stores are looking to maintain your custom as a priority. A wonderful way to save cash is to take advantage of this in the form of a price-drop refund. A price-drop refund applies if you have just bought an item and then see that the price has dropped a few days later. You can email or call the customer service department of the vendor and ask for the difference. Many shops will do this as a gesture of good faith to keep you as a customer, although this may be store credit rather than cash. A sneakier way of doing this, if the store doesn’t want to apply for a refund, is to return the item (as long as it is unused and you have the receipt) and then repurchase the item at the lower price. If the price drop is a couple of hundred dollars, this is more than worth your while. For items you buy all the time, keep an eye out for deals and discounts. If you see a significant one, it is worth buying a few of the item in bulk. Although in the short term this means that you have actually spent more money than you intended to, if it is an item that you have used for a long time and intend to keep using, you can make notable savings in the long run. Customers tend to go back to brands they trust, but over time this can mean that they end up missing out on better deals and even superior products. This doesn’t mean that you should try a different product every time and chase the lowest price for an item which may not suit your needs, but feel free to shop around and see what else is on the market. Shops update their ranges all of the time, and thanks to reviews on most sites you can do your research to find out if a price drop is worth switching to a different brand for. Many banks have cashback credit cards, as well as independent lenders. The card will pay back a percentage of what you spend either back onto your card, into your bank account or in the form of points or vouchers. The cashback you receive is usually only a small percentage of your purchase (2-10%) but it adds up over time and doesn’t cost you anything. The fastest way to find out new deals and discounts from retailers you visit a lot is to subscribe to the newsletter or sign up for a membership card. You will get all of the discounts and deals sent to you before everyone else, and may even be able to access deals that regular customers cannot. Sites like eBay and Gumtree allow you to buy things second hand, which works out cheaper and can also help you to find items that have been discontinued. Being able to put in specific search terms can also help you to find what you want much easier than visiting thrift stores. If you are worried about the quality of items you might buy from another consumer, you could also look at Amazon which lists used items alongside new ones, at marked down prices. Saving apps such as Ebates are part of a business model called affiliate marketing, where companies pay a commission to a company for referring sales. This offers smaller companies and those looking to build their reputation a good way to reach a lot of people. With Ebates, when you click through to a store from their website, they get a commission. They then split this commission 50/50 with you, via cashback, so that everyone benefits! Save on delivery by offering to pick up the item in store. Online stores often have better deals than on the high street, but then delivery costs can be high and mean that you are paying the same or more. Find great deals online and reserve your item by buying it then and there, but then choose ‘collection’ at the checkout and you won’t be charged for delivery. This way you keep all of the savings you have accrued by shopping online. There are so many ways to make savings when shopping online that it seems ridiculous that anyone would pay full price for anything! Following these simple tips should help you to significantly decrease the amount you spend online shopping, and without having to try at all. You can add cashback sites to your bookmarks and desktop so that you don’t forget to go through them to get your cashback every time. In no time at all you’ll find that you’ve saved hundreds of dollars throughout the year. Other tips may require a bit of practice, but once they become second nature, you’ll never go back!